Technocity, the IT hub will be launched by President Ram Nath Kovind on October 27, as the country's biggest futuristic IT park. The President would lay the foundation stone for the first government IT building at Technocity on the day. 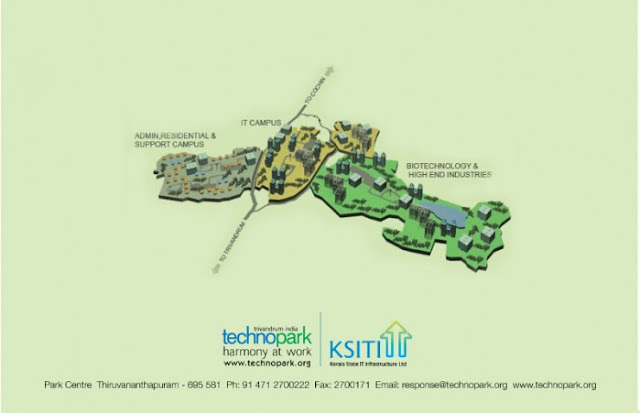 Technocity is a technology park and integrated township in Thiruvananthapuram, dedicated to electronics, software, and other Information Technology (IT) ventures. Technocity is a complete IT City, spread across about 400 acres (200 hectares) at Pallipuram, which includes not just space for IT/ITES firms but also residential, commercial, hospitality, medical and educational facilities. Technocity is being jointly developed by the Government of Kerala and private players. Organisations like Tata Consultancy Services, SunTec, IIITM-K and KASE have already taken land for developing their respective campuses at Technocity.